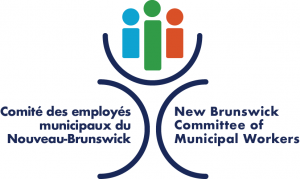 FREDERICTON – For the first time since the beginning of the celebrations of New Brunswick, the New Brunswick Government publicly recognized the important contribution of its public services employees. During the celebrations of New Brunswick Day in Cocagne, on Monday August 4th, the Premier David Alward acknowledged the role of the public sector workers. “In the last decade, it is the first time the leader of the Provincial Government has made the effort to say those words publicly during New Brunswick Day, which is notable”, said Daniel Légère, President of CUPE NB. New Brunswick public sector workers in education, health care, social services, highway, and municipalities are on the front line everywhere every day delivering good services for all New Brunswickers, even during times of natural or unnatural disasters. More than one hundred CUPE members and their families joined the celebrations in Cocagne, distributing brochures and promotional items, along with iced cold public water.